In 2010, the Chesapeake and Ohio Canal National Historical Park opened its Hancock Visitor Center at the historic Bowles House (also known as the Little House). A period farm house overlooking the canal on the east side of Hancock, Maryland, the Bowles House is located at 439 East Main Street, just off Rt. 70 at Exit 3. The Bowles House has seen its share of American history. First traced to Lord Baltimore of England, the parcel of land known as "Sarah's Fancy", was transferred to the Yates family around 1775. 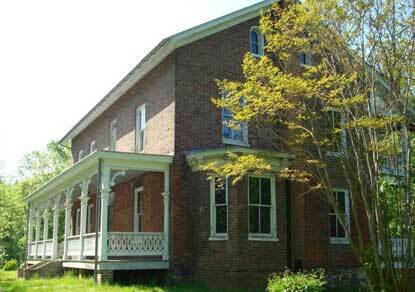 William Yates developed the land and built the original one-story home in 1785. The Yates family resided there during construction of the C&O Canal which passed through Hancock in 1839. In 1875, during the peak of C&O Canal operations, the Bowles family acquired the property and remained occupants for nearly four decades. In 1905 the house and surrounding property were purchased by the Little family who resided in the home until the 1980's. The visitor center is open Memorial Day weekend through the end of September, Saturdays and Sundays from 10 am to 2 pm.